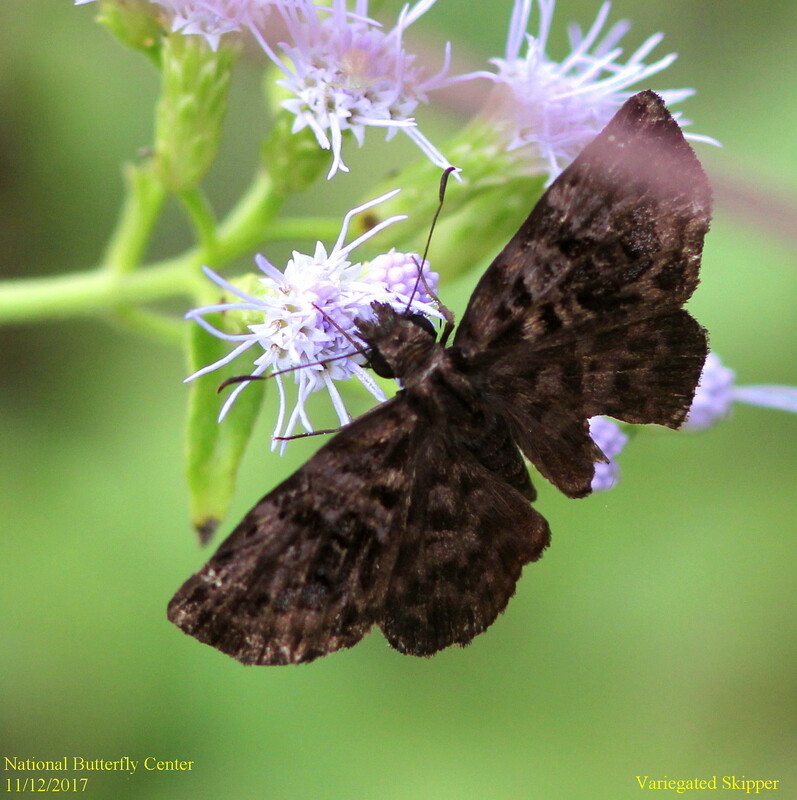 Identification: Upperside is dark brown with a variegated pattern and a slight iridescent violet sheen; forewing has 2 tiny transparent spots near the apex. Wing Span: 15/16 - 1 1/16 inches (2.4 - 2.7 cm). Flight: March and December in South Texas. 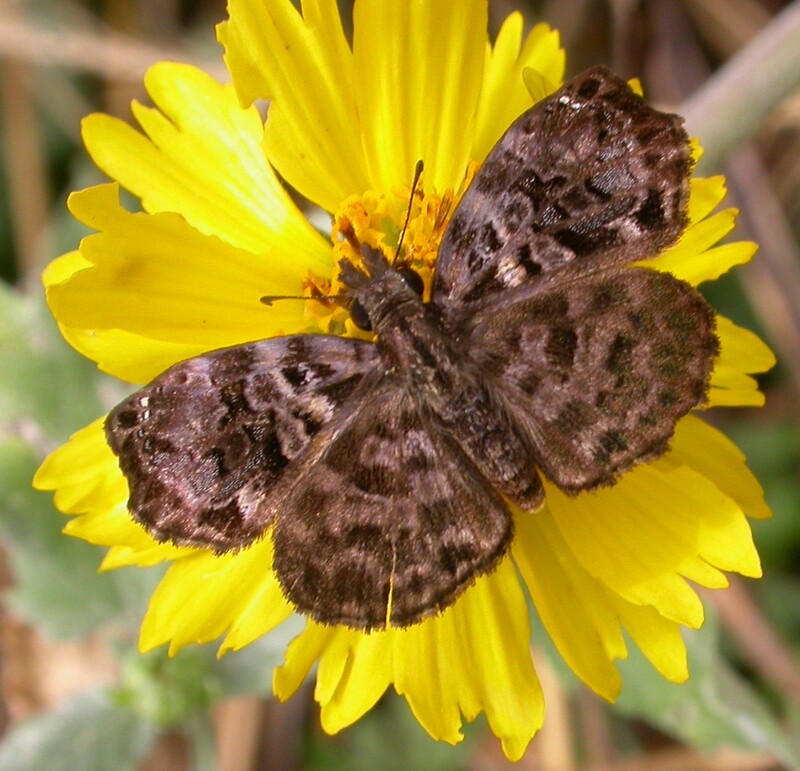 Habitat: Dry creek beds and small clearings in tropical forests. Range: Argentina north through Central America to Mexico. A very rare stray north into South Texas.